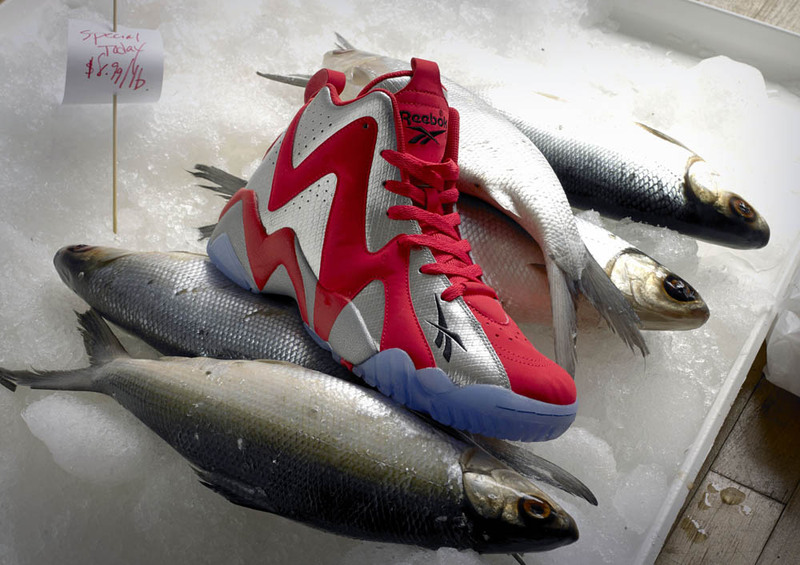 Reebok Kamikaze II "Fish Market"
Check out images and release information for the Kamikaze II inspired by the world famous Pike Place Fish Market in Seattle. 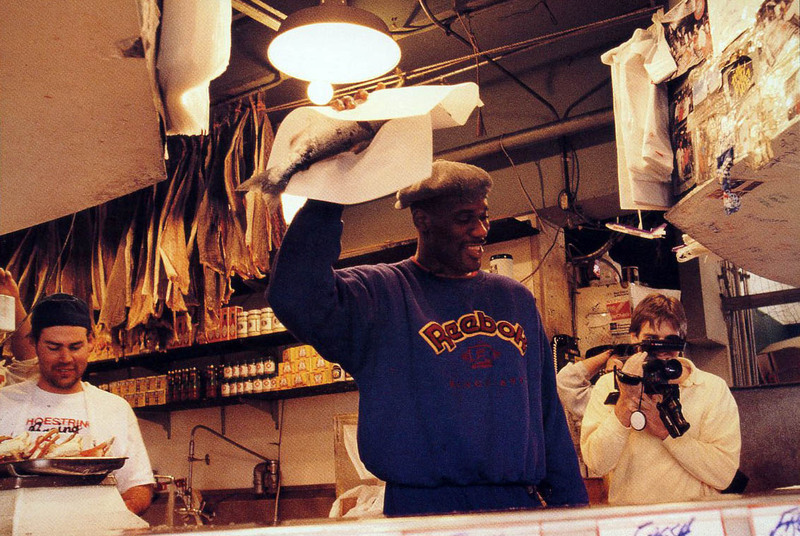 For the upcoming Kamikaze II retro from Reebok Classics, the Shawn Kemp's signature shoe draws inspiration from another Seattle mainstay, the world famous Pike Place Fish Market. 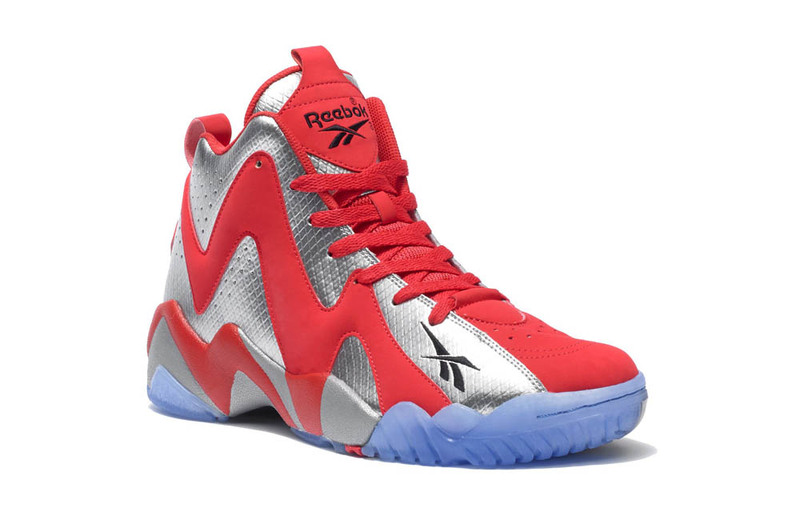 In a nod to Kemp's Seattle past, the Red/Silver Kamikaze II features a fish scale textured metallic silver upper contrasted with bright red along with an icy clear outsole inspired by the fresh fish for sale everyday at the famous market. 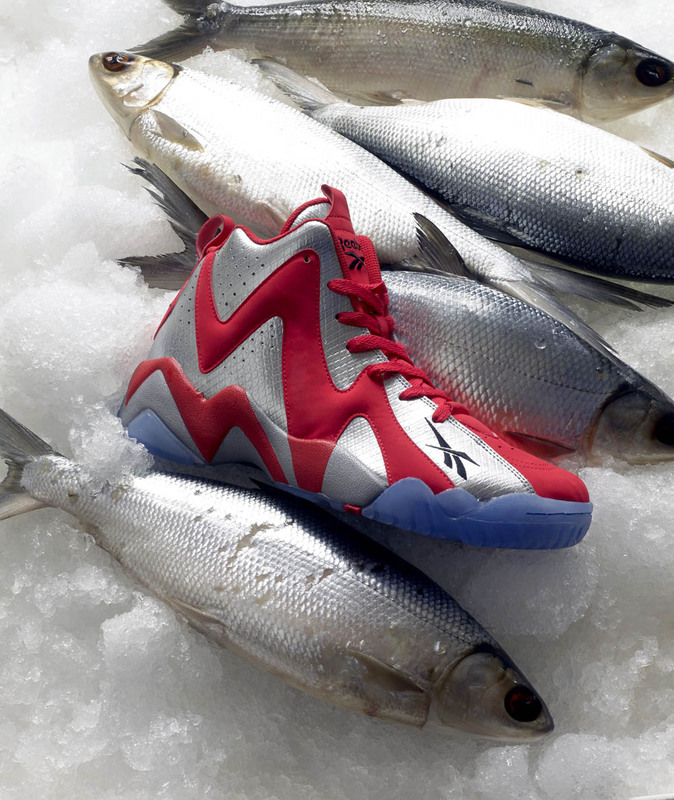 The "Fish Market" Kamikaze II will be available on February 15th at select Reebok Classics retailers including Foot Locker, Finish Line, Champs Sports and online directly from Reebok.